Street art actually refers to artwork that is created in public spaces by artists. It differs from art that is made or sponsored by the city government. It is a freestyle form that includes working with different materials to create art which blends in within the various street environments. The attitude that art should be seen only in galleries is on its way out. This collection of creative street art will show you that city is probably the best canvas! Every wall, fence or column could be turned into an art piece. It brings smiles and raises eyebrows. It is closer to people than the best painting or installation shown in a art gallery. 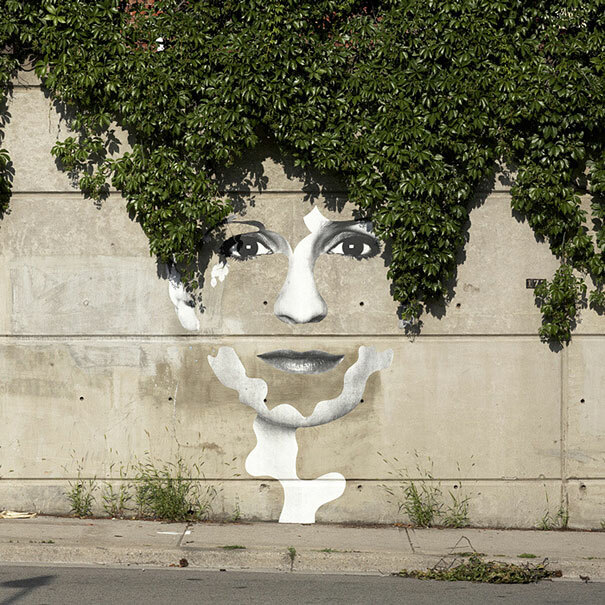 Now take a look at these creative street artworks. How can something so beautiful and creative be a crime?